My $50 Barnes and Noble gift card was radiating energy, burning a hole in my wallet, demanding to be spent. My purchases that day included two books by an author totally new to me: Nele Neuhaus. 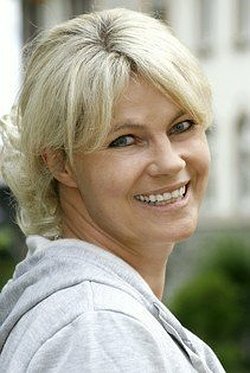 Neuhaus writes crime fiction that is extremely popular in her native Germany, and is translated into twelve languages. The series features detective Pia Kirchhoff and her boss, Oliver von Bodenstein. My bounty that day: Snow White Must Die and Bad Wolf. Both got great reviews. Based on Snow White, I’m not going to quibble! In Snow White Must Die, 20-year-old Tobias Santorius committed a heinous crime, murdering his girlfriend Stefanie and another childhood friend, Laura. Although the girls’ bodies were never found, the circumstantial evidence was overwhelming and even Tobias believes he did it while in an alcoholic blackout. Only Nathalie, a long-time buddy, and Claudius Terlinden, the town benefactor, offer him any support throughout his 11 years in prison. Tobias’ release from prison and return to his home town unsettles the community, and when another girl disappears, people are quick to place blame. The surprising discovery of Laura’s body raises questions about the original investigation. But if Tobias did not do it, who did? And where is Amelie, the missing teen who bears an uncanny resemblance to Stefanie? There is no end to the potential suspects and unravelling the truth about what happened in the past, while making the connections to today’s mystery, is a labyrinthine effort. Each new fact revealed only raises more questions. Pia and Oliver are smart, insightful and tenacious, but not super-human. Here’s what I liked about Snow White: Well-crafted main characters. Twisty plot. Appropriate backstories. No ridiculous romantic subplots. Nice use of family dynamics as explanation for dysfunction – one bad guy has actually convinced himself that he was acting in everyone’s best interests! Not so great: Bit of a groaner, likelihood-wise. Tobias can’t come up with an alibi or defend himself – he blacked out! Theis can’t say what he saw – he’s autistic! School-teacher can’t admit he was sleeping with a student – his wife has all the money! Person X isn’t caring friend – person X is a sociopath! Still, there are unlikelier plots… and with the help of shifts in point of view and time frame as well as stellar pacing, it’s easy to overlook this aspect of the book while you keep those pages turning. I wouldn’t give Snow White Must Die a giant thumbs up, but it’s well worth reading and I’m looking forward to Bad Wolf. 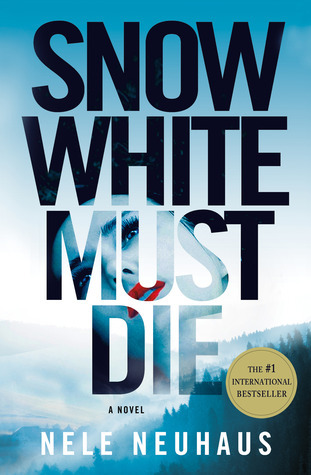 This entry was posted in Commentary, Review and tagged Bad Wolf, International Thriller, Nele Neuhaus, Snow White Must Die. Bookmark the permalink.